This news comes to you from Castle Hill Village, New Zealand on a bright, sunny summer’s day. This morning, a tree feller came to bring down a tall cedar on the land we tend. It was a sad occasion, but necessary, because some thirty years ago it’s seed had been blown into the centre of our beech forest. Now it was seeding its own kind, creating its own generation, which would smother this last remnant of native beech. So the howl of a chainsaw was going to impinge on the beauty and silence of the day. I decided to handle this in the old way, in the way of those who tended the forests long ago. Remembering the elders’ teachings that they brought to the felling of a tree, I broke off a small branch and approached it and told the tree, and the forest around it, what was about to happen. Then I gently struck the place of the impending cut several times with the little branch and explained a deeper blow would follow and its life would end. All that it was would still be honoured for it would heat a home in the time of the winter snows and keep a new baby warm. Its leafy branches would be shredded to mulch the family garden and its wonderful scent would fill the air with the memory of what had been. The chainsaw screeched. Silence. No shudder ran through the forest even when the tree fell. Did what was offered and the karakia help? I can’t say but it was done and I hope, done in a good way. Now, in keeping with the old ways, fifteen little trees of the beech kind will be planted to honour the passing of a tall tree. The elder’s once told me the beech trees carry messages. For a long time I’d not understood the depths of what that might mean. However when they encouraged me to write Wisdom of the Four Winds, to bring the kaitiaki or spirit guardians back into our lives, I saw a little deeper. If wisdom is simply growing into greater awareness, then everything around us, the mountains and forests, the rivers and oceans, the birds and fish, the thunder and lightning, the Sun and the Moon have things to tell us. That was a strange response. One that bewildered me yet brought forth an answering smile. That question was asked of me again and again when I met the old ones. Looking back I wonder if the first elder seeded the answer in my mind to see if I would accept it and offer it back. Perhaps it was a test of a certain kind. Anyway, the concept of an age without secrets has been a very important part of my journey since that time. If there are no secrets then truth marks the trail of our days, our conversations with friends and strangers, personal relationships, business transactions, government policies and international exchanges. We may seem far from the Age of Truth, today. Yet, the seed is sown and as witnessed in recent times, the ability to hide the truth within the iron fist of dictatorship and hide corruption and torture behind walls of silence has been swept aside. The technological revolution that has placed cell phones with cameras in people’s hands is constantly changing the world. That device has already overthrown tyrants. And when we bring the world-wide-web into play — how I love that phrase — we open unlimited pathways to knowledge, truth and change. After thirty years devoted to driving my computer back through ancient knowledge I was called to share, I realise it’s time to help it move with the aid of the latest technologies. So here I am, excited about starting up my own website; offering more on Facebook and You-tube, creating a blog site to answer frequently asked questions and planning to have ten of my titles available as E books within a year. 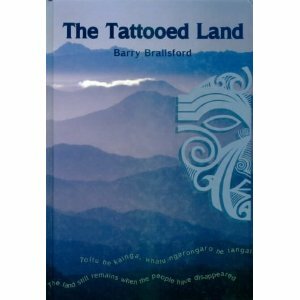 As well as my Facebook page I now have two blog sites in place http://barry-brailsford.blogspot.co.nz and http://barry-brailsford-indigenous-knowledge.blogspot.co.nz/ It’s a kind of experiment. Those who have received my recent newsletters know I wrote the novel, Only a Hut in the Mountains, last year. This novel will not be published for some time, so I thought it would be good to share the beginning. You, see I’d love to have feedback and if enough readers wanted more, I could release more and more over the next few months and maybe we might get to the end of it. So that’s the thought behind this blog site. You are invited to have fun with Koro the old one! What is wisdom? Who were Waitaha? What evidence supports their story? Polynesian origins. Did they reach the Americas? Polynesian voyaging secrets. How the Moon influences our lives. Finding your People: be they Stone People, Bird People, Fire People, Water People or Tree People or one of the many other Peoples. Healing the past. The power of Pounamu. 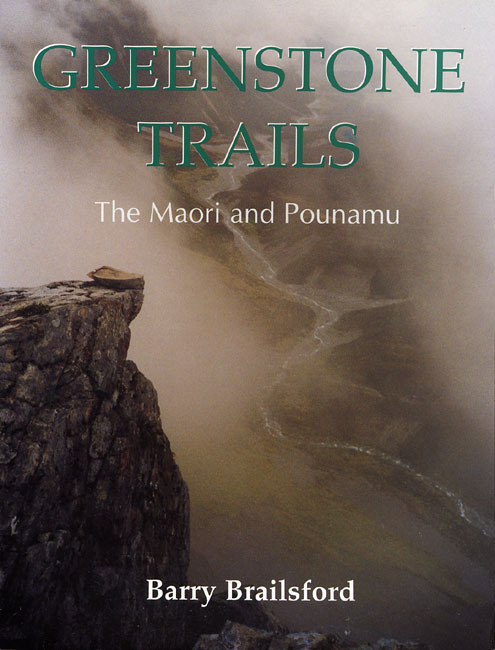 Opening the Peace Trail of the Pounamu. Maori trails. Maori sea-gardens. Our spirit guardians. ‘Even the darkness brings learning to the light. may be woven in the mending. Kia Kaha! Walk in your truth!